The conclusion of Les Voiles de Saint-Tropez brought the 2018 season to a close for the magnificent J Class yachts. The fourth and final regatta of the J Class season was a two horse race between the 1933 Charles Nicholson-designed Velsheda, one of the three original surviving Js, and Topaz, launched new in 2015 to a previously unbuilt 1935 Frank C Paine design. At Les Voiles de Saint-Tropez, the two Js were competing in the Modern IRC A fleet, against 21 of the world’s top contemporary Supermaxi, Maxi and Mini Maxi yachts. After the first day of racing was cancelled due to Mistral conditions, the day two was held in ultra-light winds, enjoyed by neither of the J crews. “We had a super light day which was bad and we got swallowed in a hole,” recounted Topaz helmsman Peter Holmberg when they finished 19th to Velsheda’s 15th. Velsheda was set on to the back foot when she was black flagged at the start of the next day’s race. Topaz also claimed Friday’s race between the Js, but Velsheda balanced the scorelines on the last day. As Velsheda’s tactician Tom Dodson put it: “We just decided to keep on doing what we normally do and hope it would come right.” And it did. On the final Saturday, racing in 10-14 knots, Velsheda finished fourth in IRC A, the top result of the Js all week, the 85-year-old lady impressively showing a clean pair of heels to most of the modern carbon fibre maxi fleet. At the regatta’s conclusion, Topaz prevailed, finishing ninth overall to Velsheda’s 13th in IRC A. 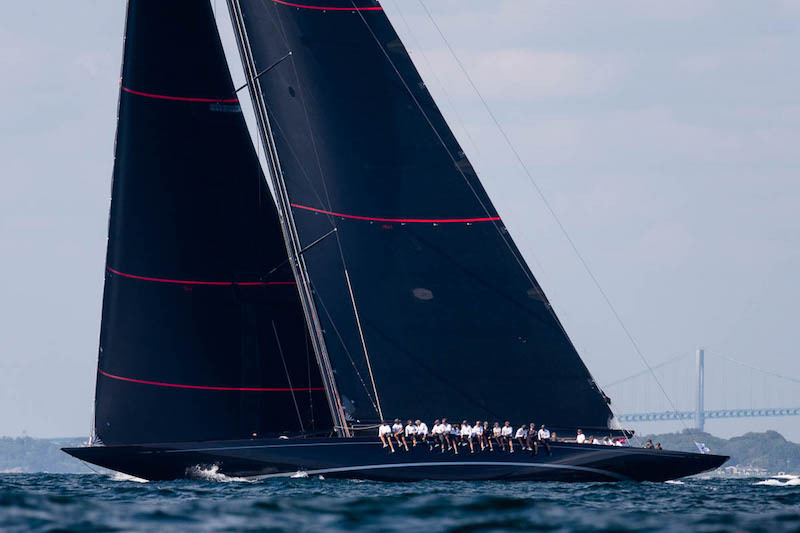 However, across the four events of the 2018 J Class season, it was Saint-Tropez absentee Svea that prevailed to win the Kohler Cup. This trophy, first awarded to the J Class in 2017, is named after Terry Kohler, former owner of North Sails, who had died the previous year. In 2017 the Kohler Cup was won by Lionheart. This year it was claimed by the latest addition to the J Class fleet, Svea, a ‘Super J’, launched last year to a previously unbuilt 1937 design from Swede Tore Holm. 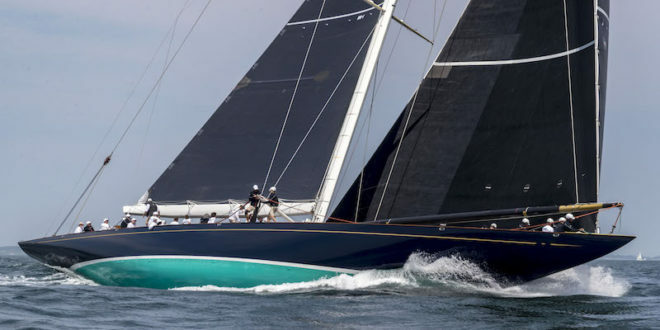 Svea’s near perfect scoreline from March’s St Barth’s Bucket, followed by her winning September’s Maxi Yacht Rolex Cup in Porto Cervo the more slender margin of just one point, left her in a near unbeatable position in the accumulated points across the J Class season on which the Kohler Cup is scored. The J Class is affiliated to the International Maxi Association, the official body that oversees maxi yacht racing globally. The J Class schedule for 2019 will be announced in due course.